Graphics have come a long way on the portable spectrum and the 3DS has shown to be the handheld system to handle 3D-animated visuals best. Attack of the Friday Monsters! A Tokyo Tale feels like you’re watching Manga comics coming to life. 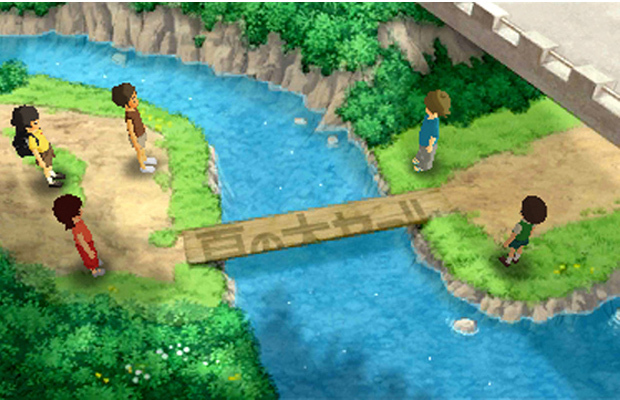 Throughout the game each scene looks like a piece of artwork, as its old-school sketches is refreshing to view. Not to mention the guys at Level 5 studios show us you can still produce amazing graphics without relying on the latest next-gen graphics engine. 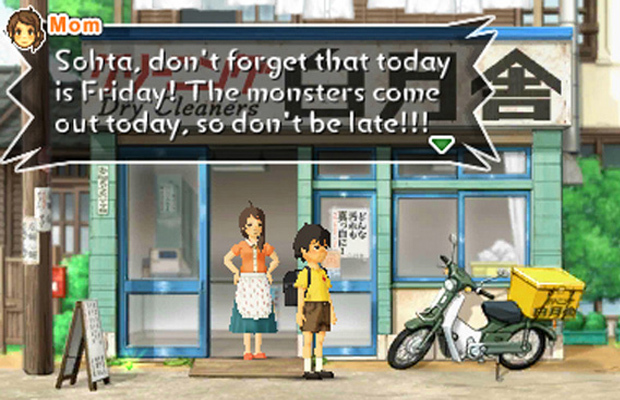 Even for a 3DS title, Attack of the Friday Monsters is too short for its own good. While playing the game and exploring the town, I got about four hours out of it before completing the title. But even after venturing out and exploring beyond the game’s story arc, the adventure is still short.